Arysta LifeScience is a leading crop protection and life science company managing a portfolio of more than 200 active ingredients. Operating in more than 125 countries worldwide, Arysta LifeScience is focused on helping customers cultivate business growth through the development, marketing and distribution of innovative chemical solutions for the agroscience and health and nutrition science marketplace. RANCONA PINNACLE was a “walk-up” product with a distribution only push. 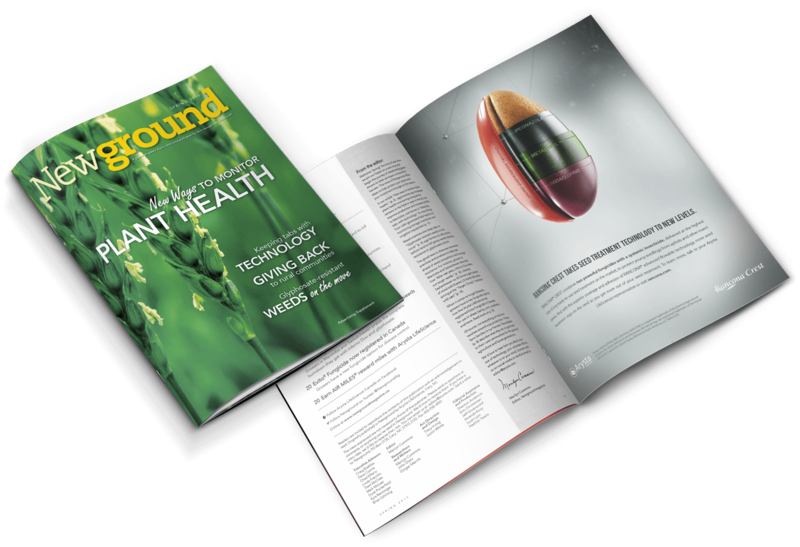 It was positioned as an inexpensive seed treatment through one major distributor with limited to no brand awareness and limited to no marketing, leaving it with limited to no future. Arysta LifeScience was ready to invest in the brand. The goal? Establish RANCONA PINNACLE as the ready-to-use seed treatment, offering broad-spectrum coverage and unparalleled disease protection on wheat across Western Canada. Focusing on the key features and benefits of the product, WS created a strong brand for RANCONA PINNACLE. Using computer-generated imagery, we developed a high-tech look that showcased the unique attributes of each formula while differentiating the RANCONA brand in a crowded marketplace. We then launched a campaign to raise brand awareness in the marketplace using media channels and a combination of traditional and non-traditional inbound/outbound marketing techniques. 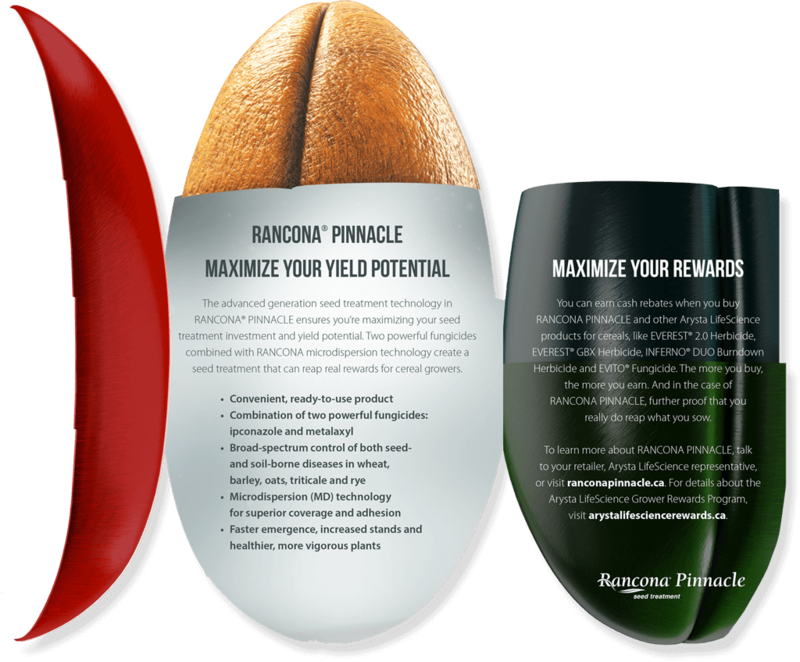 To evolve RANCONA PINNACLE into a “planned acre” brand, we created a grower pull strategy by leveraging marketing communications and programming, with the Grower Rewards early buy program.